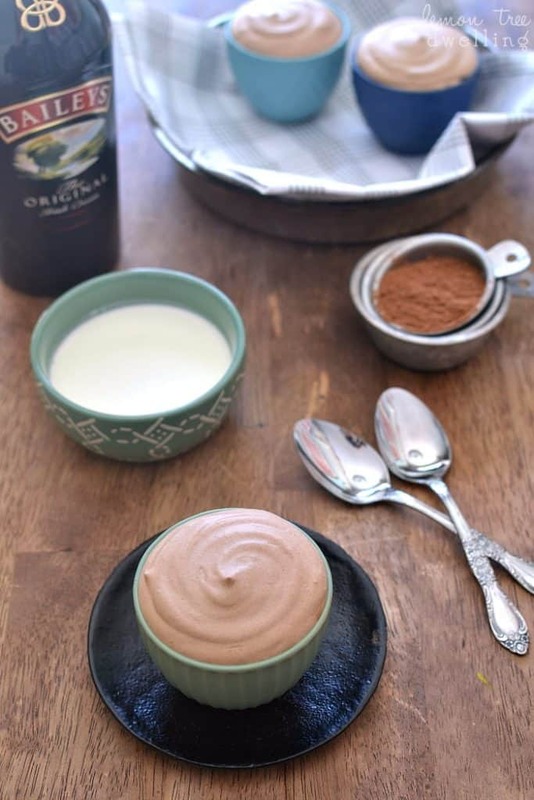 Baileys Chocolate Mousse is a deliciously light, fluffy chocolate mousse, infused with the sweet flavor of Baileys Irish Cream. 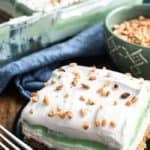 This easy dessert recipe is perfect for St. Patrick’s Day! I had a moment the other day…..a moment where I started thinking about just how fun it would be to celebrate St. Patrick’s Day “adult-style”. I have those moments from time to time…..mainly because they’re so far out of my reach….and the thought of ditching all responsibilities for a day sounds absolutely amazing! The last time we celebrated “adult-style” was the year Ellia was born. We had Grandma and Grandpa babysit for the day, we went out for brunch, we drank Guinness and Irish whiskey, we stayed out all day…… It was tons of fun, and a day I remember fondly. And then we came home. And we had to be parents to an almost one year old! And that’s the last time we ever went out on St. Patrick’s Day. That’s just not where our lives are at right now….and chances are….it’s not where our lives will ever be again. And while part of me is disappointed, a bigger part of me is relieved. Especially now that we have 4 kids……can you imagine what that would feel like to come home to!?!? That said, we still like to have fun every now and then. We just do it differently! Instead of downing shots, we down spoonfuls of decadent Bailey’s Chocolate Mousse. After downing our Reubens, of course. And you know what? It’s just as fun. And WAY more delicious. 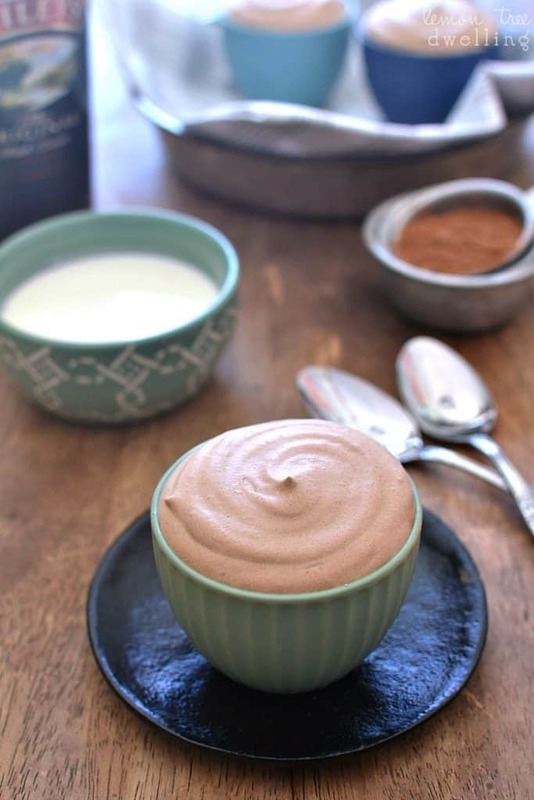 I hope you love this Baileys chocolate mousse recipe as much as I do! 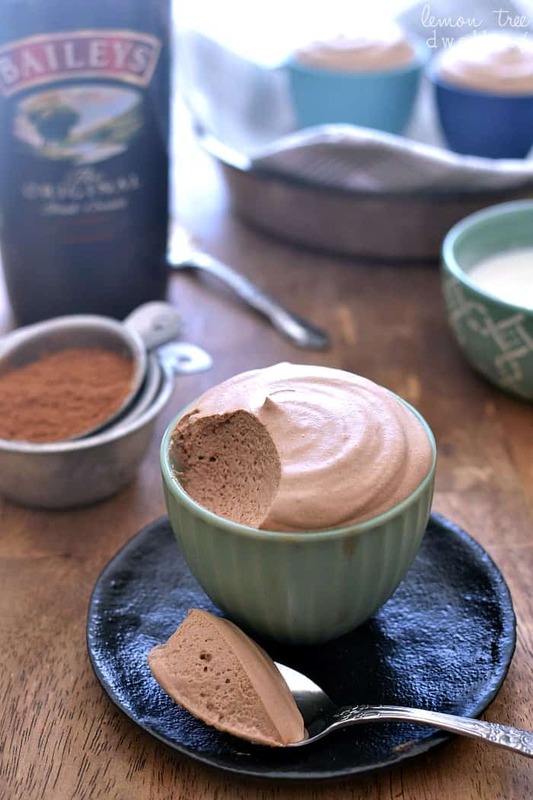 Deliciously light, fluffy chocolate mousse infused with the sweet flavor of Baileys Irish Cream. Perfect for the holidays! 2 Tbsp. cocoa powder for a more intense chocolate flavor, add 1 additional Tbsp. Add boiling water; stir until gelatin is completely dissolved. Let stand to cool. Stir together sugar and cocoa in a large mixing bowl; add heavy cream. Beat at medium-high speed until stiff peaks form; gradually pour in Baileys, vanilla, and gelatin mixture, beating continuously at high speed until well-blended and soft peaks form. Chill 1 hour or until ready to serve. 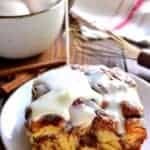 Looking for more recipes with Bailey’s? My blogging friends love recipes with Baileys, too! Baileys Fudge, from Wine & Glue. Sooo yummy! There is not much I love more than some Bailey’s! I haven’t had a good homemade chocolate moose since I spent a year and n college in Paris. We attended a small private school. My professor and her friend to nvited us to their hous and we made chocolate. Mousse. Believe it or not they had no fridge ( and this was in1972. LOL), so we had to put the mousse out the window to cool. But, it was the best mousse I ever had. I tried one or two since then but they were horrible. I hope this isn’t ne comes out. I think one trick was to have everything chilled (outside the window) until they are ready to be incorporated. Then maybe X very slow and easy. We didn’t use the Baileys back then. Ooooh, I do hope you’ll swing by the Potluck Dinner Party over at Carole’s Chatter and add this to the table! I much prefer staying in for St. Patrick’s Day now, though I used to party hardy, too! 🙂 This chocolate mousse looks fantastic, Cathy! I love that you added bailey’s to it. Looks so creamy and delicious! The recipe does say serves six 1/2 cup servings. Not sure how I missed this one i’m so glad I found it before March 17! 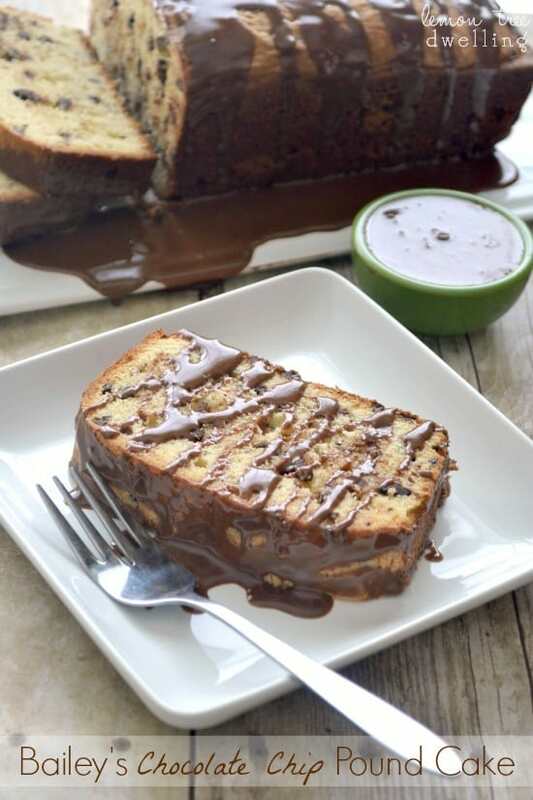 It looks creamy, rich and delicious…another fabulous recipe my friend! Does anyone know what size and how many portions the Bailey’s Chocolate Mousse makes? Hahahaha..nutrition? I don’t think so..If you choose to eat this..you must forgo the “Healthy” eating for the moment. Made this s today and it was wonderful. I did not use the liquor and substituted the creamer flavored like Bailey’s. That’s a great idea! I was thinking about a non alcoholic version for the kids! Soo many artifical ingredients in coffee creamer flavorings! Much better to use actual Bailey’s Irish Cream, somewhat a little more healthy. Wow!! I just finished making this for company today. Just licked the spoon! Awesome!!! Somebody tear me away from the dessert bowls!! Yikes! So light and fluffy. One minor change…..I always use dark cocoa so that’s what I had on hand. Will absolutely make this again! Loved how easy and fast it was.. Used my stand mixer with beater attachment. Thanks for the recipe! that you could use but that isn’t alcohol? I haven’t tried it in this recipe, but what about Bailey’s flavored coffee creamer? I want to make those Bailey’s chocolate mousse but I don’t understand the quantity ?!? I am so dissapointed…. Please help me …. I will try to translate the recipe in french if I can…. Here are the quantities in metric measures. North Americans measure everything by volume. Bon appetite! Thank you. I find “cups” very confusing as they vary between countries. How many grammes of sugar and cocoa powder? After the mousse is made how long will it store and whats the best way to store it? I’d love to know how long it will last too!!!! Making this for a wedding and would like to make it ahead of the day? 1, 2, 3 days? Anyone know? I made this last year and I believe max of 2 days ahead would be best. Cover, avoiding touching mousse, after fully set to avoid a harder top from forming and pulling away from sides of dish. Good luck! Someone said they used Bailey’s coffee creamer. There’s lots of different flavors. No alcohol. Um, Help! What did I do? I followed the directions to a T. My whips were nice and everything tasted delicious. When I did the last step and slowly added the gelatin mix my whip went completely to liquid. I could not get it to peak again. Any advice? I had the opposite happen. I had the sugar and cocoa mixed, added the hot water to the gelatin mixture then added my whipping cream to the chocolate mixture. By the time it peaked, my gelatin was solid and I had lumps of gelatin in my mousse! Oh and my house is kept at 65 degrees in the winter and it’s 15 degrees outside. Might put the gelatin in the microwave for a second to warm it back up some. Same thing happened to me. My gelatin had been sitting in the fridge for at least ten minutes and felt cool. So much for my anniversary dessert. My gelatin turned to rubber before I added it to the mixture and then I just had rubber like pieces in my mousse. Guess I should have added it before it set? Otherwise, it tasted great! The gelatin set when it cools so about when do you add the gelatin? Overall, good flavor but was disappointed in the fact that I was picking chunks of gelatin out. I’m so sorry this happened. I would only let the gelatin sit for as long as it takes you to do the next step. Hope this helps! Same deal. Added the gelatin and it went weird texture and lost its whipped texture. Disappointed. Flavour ok but not smooth enough. I put the gelatin in the freezer, til it was slightly cold and just about starting to set. I added it last, after I had incorporated all the bailey’s and vanilla and made the whip slightly thicker than just soft peaks. I incorporated all the liquid REALLY gradually, about 1/8th to 1/4 cup at a time and kept scraping the sides so it was well mixed. I had also kept the bailey’s and vanilla in the freezer till I was ready to use it. The texture was brilliant! My brother is really fussy about his mousse and the texture, and he loved it! Our’s did the same thing. This recipe did NOT work for us. It ended up getting dumped. 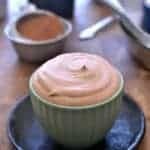 I made this mousse, so nice, but made a fat less sponge, just 1 layer, then when cold mixed 1/4 tsp whiskey to just about1/4-1/2 cup of good filter coffee, put the sponge into a spring form tin, put in the sponge, painted with whiskey n coffee mixture, set it to chill while it was doing that got a bar if good chocolate & using a veg peeler made some curls n shavings did the same with some white to break the colour up a bit, when set unmolded it , decided it needed some thing else, managed to get some small Strawberries, with the stalk on put them round the edge, 12 in all 1 for each slice then added the curls. It was very rich, loved every mouth full, the two guys had a second slice each, the next morning I found my hubby eating a slice for his breakfast at which point I sent him out on a 5 Mike bike ride! This looks great. Would it set well if I poured it into a crust and made a pie? Could I sub the alcoho for Bailey’s Irish Creme flavored creamer? I haven’t tried it, but I’m almost sure it would work just fine! I used one sachet of Dr Oetker’s vegetarian gel and it all worked out great, the gel set very quickly but I whisked it in and it seemed fine. 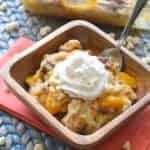 Thanks so much for sharing this recipe with us! I made this for my brother’s birthday, and he absolutely loved it (he’s really fussy about the texture of his mousse)! I added extra cocoa in mine to make it more chocolatey, but I could definitely have had a lot more chocolate and been happy. I like that this recipe doesn’t have egg. Do you know what one can use as a substitute for gelatin? This recipe looks delicious and I’d definitely like to make it for Christmas. However as a Brit I would like to say that the casual use of the name Irish Car Bomb is really offensive. Enjoy a Guinness by all means but please don’t glorify terrorist. Hi Sue, Thanks for bringing that to my attention. I removed the phrase from my post. I’m Irish and I share Sue’s concern. I opened this after you said it was gone – it’s still there. Yall do realize that an Irish Car Bomb is a drink don’t you? It is not a casual use of the name as Sue stated. Cathy meant nothing offensive about it. It is what it is… A Drink. Preparation: The whiskey is floated on top of the Irish cream in a shot glass, and the shot glass is then dropped into the stout. Hi Linda, I didn’t realize it was in more than one place. I’ve removed the remaining phrase of concern. Thanks. Seems no matter how careful one is these days, someone is bound to become offended!. In my opinion, that’s their problem and should not be made your problem. Cathy, I’m a vegetarian. Is the gelatin essential, or can I leave it out? If leaving it out isn’t an option, is there a vegetarian-friendly substitute for gelatin? Can this be prepared the day before serving? Hi Lori, Yes! This can be prepared a day in advance. Thanks! Could you tell me what baileys is I have never heard oi and I have never used. Hi Linda, Baileys is Irish Cream. I hope this helps! Cathy, I’m a muffin monster. Hi there, I’ve seen I’m not the only one wanting to use a different alcohol so I guess I’ll have to try that out myself if nobody else has already lol (or maybe a little more googling), however I also can’t have cocoa, do you think that I could sub that out for say a vanilla or white hot choc powder? And perhaps leave out some of the sugar from the recipe? Hi Meliae, It definitely sounds like an experiment! I have never tried this mousse with different types of alcohol, so I can’t speak to how it would turn out. Maybe I’ll have to come up with another version! Good luck with your experimenting! I have made this wonderful mousse twice. First with Original Bailey’s, second time with Salted Caramel Bailey’s. Wonderful both times! Easy, impressive, divine! Thanks so much for the feedback, Kelly! Do you use unsweetened or sweetened cocoa? Hi Jami, I used unsweetened cocoa powder. Thanks! Found this recipe on Pinterest and decided to give it a go. Terrible idea, the recipe is far too liquidy when you add the gelatin and baileys and literally never whips up. Tried counteracting with all sorts of thickening agents to no avail. Thanks for wasting my precious alcohol. Sorry you had problems with the recipe. I’ve made it several times with no similar issues. Did you follow the recipe exactly, including starting with very cold ingredients and a chilled bowl/beaters? I had exactly the same problem, plus the mixture split, possibly because I kept beating it in the hope it would thicken up. Followed the recipe to the absolute letter. She shared a recipe and you blame her for wasting your “precious alcohol ” because you screwed something up? I guess she forced you to make it? Some people are just born nasty. I was having trouble getting the stiff peaks to form while mixing on medium speed, so I mixed on high and it worked out great. This tastes fantastic! Thanks for the recipe. I made the mousse earlier today but adapted the recipe slightly (less sugar, more baileys and a touch more gelatin) then used it to fill large choux buns that I topped with chocolate ganache, they were fantastic. I think you can give to your kids, because baileys amount in the recipe is not much and as will be mix with the cream and chocolate wont be too strong, but if you are not so sure you can just add half, i tried this recipe and because only adults were trying it I decided add more baileys because i taste before put it on the fridge and for me the baileys taste was very subtle. OMG! Your recipe is brilliant! 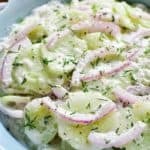 I tried it last time for a family dinner and everybody loved it!!! oh! … and double thumbs up for you cuz is so freaking easy to make!! If I leave out the Bailey’s entirely (and don’t want to use another alcohol), do I need to add more of another liquid to keep the recipe the same consistency? Also, I assume that the gelatin used is powdered gelatin (not the sheets), as you say “sprinkle gelatin” – is this correct please? Try using kosher gelatine. It has no animal products in it and is therefore good for vegetarians/vegans. You had me at Baileys! Pinned and feeling excited to try next time we have a need for a slightly posh grown up pudding. I’ve read all the comments about the temp of the gelatine and even seen the conversion to metric (normally I just do that myself!) looks great – thanks. This looks AMAZING! I never have Bailey’s in the house because I rarely drink alcohol (I’m cheap, haha! ), but it definitely makes me want to go to the liquor store pdq! Thank you for the recipe. I love your blog! What can you use that is non-alcoholic in place of Bailey’s for the mousse?? I would try Baileys flavored coffee creamer! Thanks for the review, Jarry! Made this yesterday,texture was spot on,fluffy,set perfectly,one little thing id change would be the amount of baileys in the recipe,i found the batch i made came out a little too strong to my liking..i think id only put 1/4 of a cup of baileys to have the flavor but not have it be overwhelming.Thank you for the recipe! Whoa! This sounds perfect for the upcoming holidays! 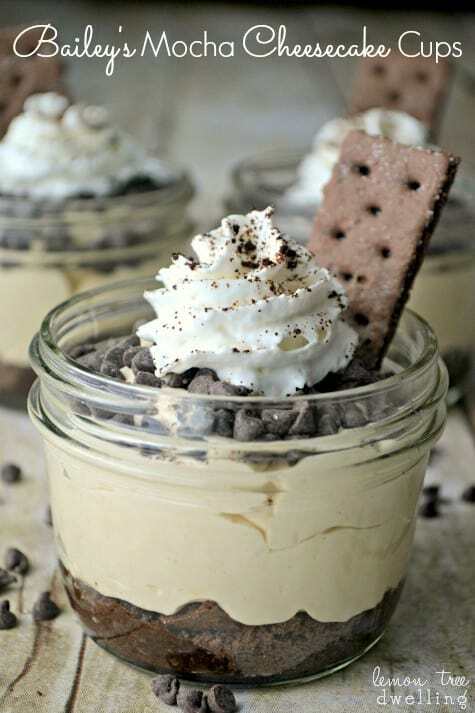 Easy and boozy, my kind of dessert! Could you use half and half instead of cream? I don’t think the half and half will work for this recipe. 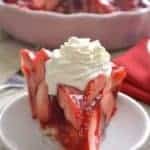 This looks like a really yummy dessert and I make my own Irish Cream so it is quite strong, but will really be good made into this dessert, all I have to get is the Whipping Cream and Viola I am ready to make. 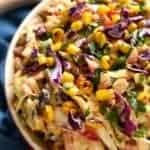 Thank you so very much for sharing this recipe. Would this work in a pie?? 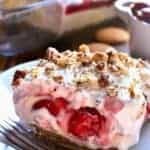 Prebaked crust, mousse, whipped cream on top?? After reading all the comments and then re-reading the recipe, I decided that I wouldn’t add the boiling water at all. After sponging the gelatine I would then melt it CAREFULLY in the microwave or place the bowl with the sponged gelatine in some hot water to melt, then add to the mix. Maybe too much liquid or too hot when adding to mousse might be the problem. Worth a try for such a lovely recipe. My mouth will not stop watering after looking at this chocolate mousse! So fluffy and delicious looking YUM! AND its boozy, I love it! Thanks, Eden! 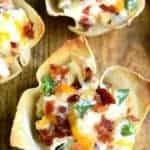 One of my favorite recipes ever!! Would coconut cream work instead of heavy cream? I’ve never tried this recipe with coconut cream but would love to know how it turns out! Fabulous! I used Swerve (erythritol) sweetener instead of sugar, Raw cacao powder and it turned out perfect. 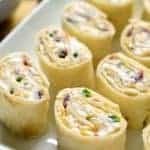 I can’t understand all of the mishaps reported here unless they used different ingredients or didn’t follow the instructions. I do think it’s important that the gelatin is well dissolved and cooled. I put mine in the fridge. I also added the cacao and sweetener and gelatin a little at a time while I was whipping up the cream. I had everything chilled, even the vanilla, as someone suggested. 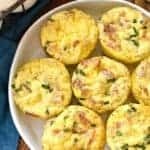 Someone on here mentioned that this wasn’t healthy, but when you make it like I did, and you are following a low-carb, high-fat, Ketogenic lifestyle, it is extremely healthy and there’s not one bit of guilt involved. My version is sugar-free, gluten-free, could be dairy free if you use coconut milk, and the raw cacao is extremely high in antioxidants and is also sugar free. I guess the only “bad” part of it is the Baileys, but heck, it fits right into my 90-10 way of eating. Hi! Couldn’t help but laugh when you mentioned celebrating “adult style” after having kids. The funny thing is, once you have them it seems (to me that is) the parenting doesn’t stop for so long once you are able to have that time again, you’re too tired to go,lol! Not saying you will be, but there will also be grandkids with activities to go to and babysit for. Just saying…. these seem like the best days anyway! So glad you are enjoying it, Sarah! I’ve always wanted to try it with peppermint! Well that was a disaster. What a horrendous waste of excellent Baileys. The gelatin smelled horrible so I omitted it and it turned out fluffier and was just delicious. I also added layers of crushed Oreo cookies (not the inside part). It was amazing! Thank you so much for this – this is literally what I just asked. Thank you thank you thank you! Made this last night, read all the comments so I made sure everything was cold. It came out great! No problems at all. Was delicious and made more than I expected. Thank you, I’m sure I will make it again. This dessert is gorgeous, I substituted with coconut cream and coconut sugar and it turned out very well. Thanks for this beauty! Is it possible to make this without the gelatine? This worked perfectly. Followed recipe exactly and was a bit worried when the soft peaks didn’t want to form. Eventually I gave up, let sit 5 minutes and it’s now set nicely. Delicious too. Can cold Irish Cream Whisky be substituted for the cold water step with the gelatin? Should it be stored in the refer or freezer if made night before a dinner service? Instead of cocoa can i put melted white chocolate? Or what else can I put in? So that the mousse is white and not brown? 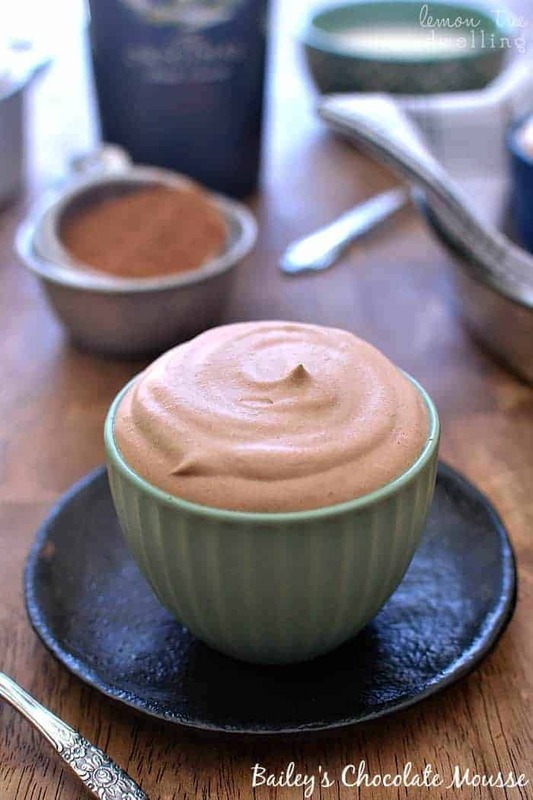 This mousse looks so light and yummy, I can’t wait to make it and taste it for myself! Made this (3 batches!) for a housewarming party yesterday. It was divine! I think the secret is to make sure the whipping cream is whipped REALLY stiff and I made sure to cool my gelatin mix in the freezer for a bit until it was starting to set up around the edge of the bowl. I had one batch go south and get very runny, and that was when I had not cooled the gelatin well. I made one plain chocolate batch. It was a double batch, but since it was minus the alcohol as extra liquid I just added the same amount of gelatin and it came out perfect. I think I used about 5 TBSP of coco. I put the mousse in a giant ziplock bag to set in the fridge, and when it was time for the party I snipped off a small corner of the bag and piped it into those cute tiny plastic cups and topped with whipped cream and a raspberry. Everyone loved them! Thanks so much for the recipe. Can you adjust the recipe by 1.5 times or double it (need 9 servings) or do I have to make it twice? You can definitely multiply the recipe! I’d love to know how long it will last. In general this wouldn’t last an hour in this house, but I’m mMaking this for a wedding and would like to make it ahead of the day? 1, 2, 3 days? Anyone know? Made it twice – following the instructions to the letter and both times ended up with liquidy texture – not mousse like at all. Never set up in the fridge. Waste of 1 cup of Baileys. Not a success at xmas. Guest taste it and did not like it and did not finish it. (I host 25 guests every xmas). Too sweet, too dense, not like the usual light mousse you would expect. Will find another recipe for next year. Was excited to make. When I did it curdled and separated. Not happy. Lots of ingredients wasted. I’ve tried this three times now. Failure each time, in a different way. The first time, my gelatin had already started to set, which mucked up the texture. It still set fairly well and the taste was great, but there were globs of gelatin in the mousse. I tried a second time, being careful to keep the gelatin from setting, and the mousse curdled and separated and never set. Third time, I made sure the gelatin was cool but also wasn’t set; the mousse didn’t curdle, but it still never got back to soft peaks and didn’t set right. Again, the flavor is good, but I never got mousse out of it. Was wondering if I could replace the Bailey’s Irish Cream with The Bailey’s Irish Cream Creamer since I don’t do alcohol? Good things no raw eggs because I kind of licked the bowl and spachelor and beaters…. I used Kahlua instead of Baileys and it was great. My IT teacher had us watch this video to understand HTTP protocols in wireshark, thanks for the help bailey!!! What does LLC and MAC stand for? Bailey’s Chocolate Mousse was sooo yummy and I must say you done a great Job! Keep it up I will definitely want to try some of your other recipes. 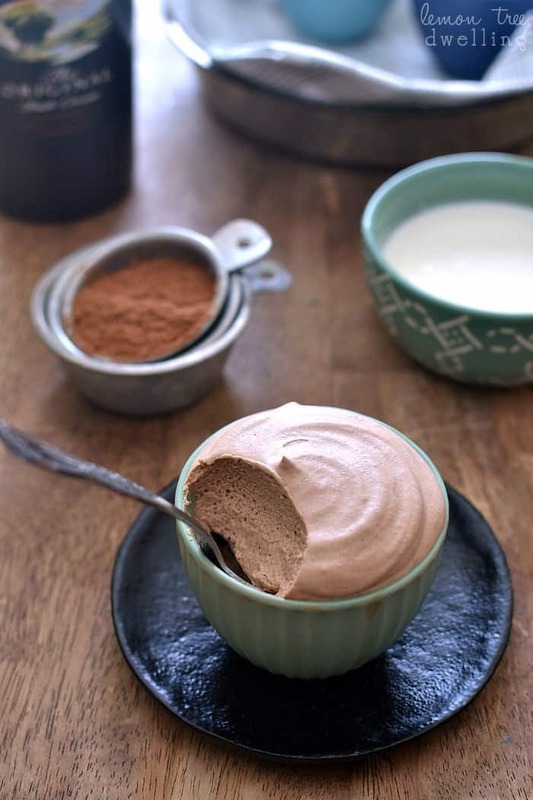 I can’t believe I never thought of chocolate mousse those times I was making a mousse. I have only been making fruit mousses, and fruit mousse cakes, but I will try out this recipe since I have cocoa powder filled bag just sitting around on the kitchen shelf. I hope mine would turn out that well! Thank you for the recipe! I hope you enjoy this new twist! I only used the mousse part of the recipe and used a different cake recipe (with Kahlua!!) and the mousse came our amazingly. No problems. I used a 1 cup measuring cup, poured 1/4 water and then the gelatin, mixed it and let it set and then added 1/2 cup hot water and after mixing everything else as instructed, I added the entire mixture which was quite watery into the mousse and it worked out perfectly fine. No clumping. I think the trick is to use a stand mixer because this would incorporate it perfectly. Thank you so much for your amazing recipe. Can’t wait to share it with my friends tomorrow!! I was able to make a 13″ pan and 5″ loaf pan… I hope to be able to save the 5″ for my moms birthday in a few days. Do you think the mousse will still be good after 2-3 days?